Bonsai is a thousand years old Japanese culture of growing plants which has one of the unique aesthetics of its own. The word Bon means a small tray or a low sided pot and sai refers to planting. So the term Bonsai if translated in English means planting in a tray. It is the miniature form of a fully grown tree grown in a small pot. Unlike other gardening practices, making a Bonsai is not about growing foods, or park-sized landscaping rather it is a pleasant exercise for effort and ingenuity. It is the delight people gain from recreating the plants as seen in nature in miniature form. Though some particular species of the plant became very popular because of smaller leaves and other attractive features, you can create Bonsai plants with literally any perennial trees or shrubs that produce true branches and can sustain crown and root pruning. How To Make Bonsai Plants? The time and cost of raising a particular bonsai vary from species to species. There are many ways to start a bonsai. Let me mention a few of them to you. If you are not a very patient person you can buy a previously trained bonsai. It will definitely reduce your time and effort and particularly ideal for the beginners. You will also find the wild plant in its natural surroundings which has been shaped by mother nature. You can start by cutting off the heridetically identical trees. These have better success rates when compared with the process of starting from the seeds. One of the plus points of staring a bonsai from seeds is you can create rare varieties of bonsai with a very small price and huge production. Grafting methods are also in use for creating your favorite bonsai. An aesthetically superior bonsai needs to be healthy. 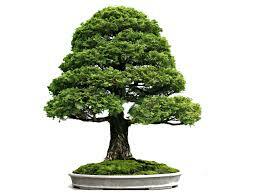 The proper combination of soil, water, air, and sunlight is very critical for the growth of a bonsai. There is no fixed formula for this it varies from species to species, climate to climate. You need to do some trial and error before fixing the optimum combination. I have written two blogs earlier on watering techniques and the role of sunlight in plantation you can check these two for your reference also. The trunk is the most appealing part of the bonsai. You can work on making the trunk well-formed and with smooth curves. Also, you can adjust branch locations, foliage distribution etc to give your bonsai a much more attractive look. Along with the trunk roots also create a natural beauty for the bonsai. A surface root structure called nebari is always a defining point in bonsai. The bending of trunks and branches is called wiring. You have to do wiring at the very young stages of the plant to give it a shape of a tree. These have to be done until you reach your final shape of the bonsai. To keep the size of the plant to a miniature form you need to continuously do pruning. Pruning had to be done on the branches, leaves, buds etc. Pruning of the roots has to be done with proper care and at the time of re-potting. 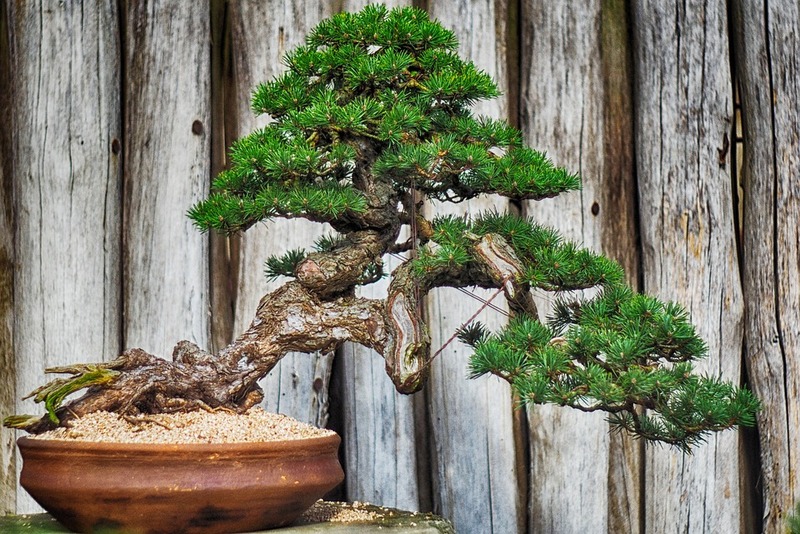 A detailed article on different types of pruning in bonsai here. Bonsai basically is an outdoor activity. Though it can be grown indoor it is quite difficult and its success is limited to the tropical countries. But if you are determined to place it indoor it will advisable to start with a plant like Ficus. They can withstand a lot of abuse and not very sensitive to the surroundings compared to the other plants. It is also cheap and easy to find. If you got your motivation level rising to do a bonsai after reading this article, I would suggest you do a thorough research on the same before jumping in. Here is one great resource you can refer to for more detailed stuff which will give you a step by step guide to bonsai.